We transport your vehicle from Crested Butte to Aspen. You can start your day in either Aspen or Crested Butte. Just tell us where you want your vehicle picked up and dropped off and we’ll transport it while your out on the trail. Need your vehicle transported from point to point? We pick up and transport your vehicle while you’re out hiking or biking from point to point. Point to point recreation made easy! You enjoy your adventure while we handle the background logistics. Once you’ve filled out your reservation form, we’ll guide you through all the details and logistics before your departure date, so you can just enjoy your day. Maroon Bells Shuttles was started to help others with their transportation logistics so they too can be out enjoying all the amazing recreational opportunities between Crested Butte and Aspen. This shuttle service is awesome! Super easy, flexible and with great staff. We saw our driver running back to Aspen as we were hiking to CB. Lovely people and everything worked exactly as planned. Terrific service! We mailed an extra car key to Evan a week before our hike from the trailhead outside Aspen to Crested Butte. Along the trail we happened to meet our driver, Molly, as she ran (yes, ran) along the trail, stopping briefly to help me across a gigantic mud puddle and offer us some great restaurant tips (thanks, Molly!). We arrived outside Crested Butte, and there was my car, backed into a parking space, allowing me to easily maneuver around the rocks and head down the hill into Crested Butte. Everything went exactly as planned, and Evan was a pleasure to work with. Evan and Maroon Bells Shuttles made our hike from Crested Butte to Aspen flawless. He met us at the trailhead, then drove our vehicle to Aspen so it would be there for us and he hiked back. We even saw him on the trail! 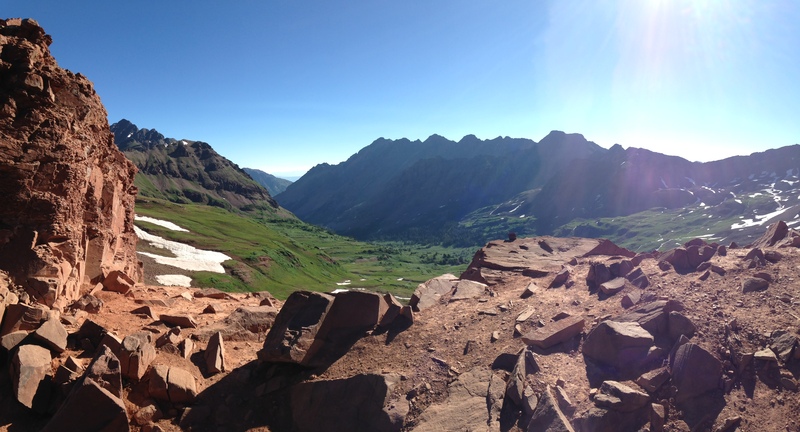 Maroon Bells Shuttles gets two thumbs up from us! Awesome service! Some friends and I used Evan and Maroon Bells Shuttles last fall to transport our car from Aspen to Crested Butte while we biked over. He was prompt, professional and made our transition very simple. Will definitely use again! Maroon Bells Shuttles was incredible. We planned a ladies hike from Aspen to Crested Butte and right when we arrived in Crested Butte, Evan was pulling in with our car. His team was professional, thoughtful, and took great care of our trip. We will absolutely use Maroon Bells Shuttles again in the future - hopefully as soon as this year! Fill out the form below to secure your reservation and we will contact you will all the details regarding your shuttle.